Happy beginning of March! Can you believe it’s March already!? And spring is just around the corner! (although where I live we didn’t have much of a winter…and it’s been in the 70’s the last couple weeks..and near 80 this week). Anywho, This months theme for the STS Road trip is a Hint of Spring! This entry was posted in Uncategorized on February 29, 2012 by christiedawn. It’s Tuesday! Check out what you can grab for $2.00 in my store today! 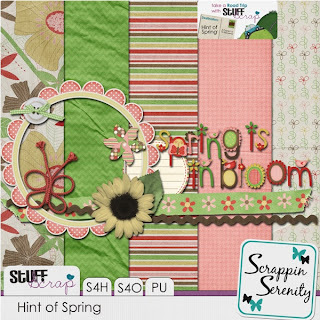 Are you looking for a cute kit to scrap the silly, cute, little monsters in your life?! 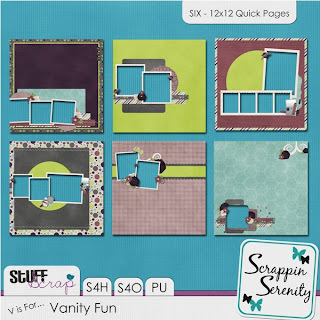 Then look no further, In My Closet by Scrappin Serenity is the perfect kit for you! 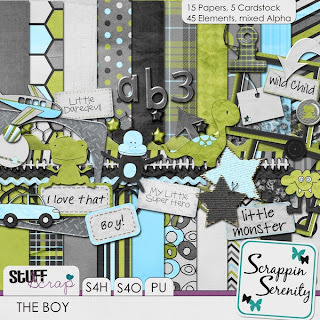 This kit is packet with monsters and all the essentials to make a cute boy or girl layout!! 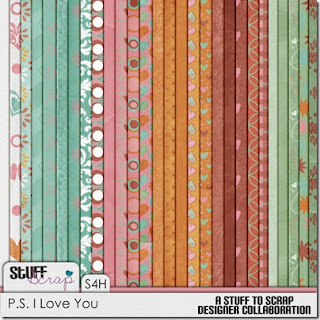 Pick up the In My Closet Quick Page Set to get your scrapping done with a breeze! 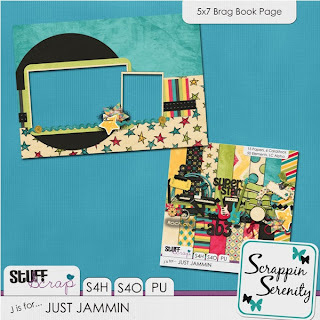 Just Jammin by Scrappin Serenity is the perfect kit for scrapping those concert moments, those times you played in a garage band, or from those pictures you’ve taken when you’re playing the rock band/guitar hero games on your gaming systems! Do You have too many pictures to scrap and not enough time? Then pick up the Just Jammin Quick Page Set! This entry was posted in Uncategorized on February 27, 2012 by christiedawn. It’s $2.00 Tuesday! Check out what I have in the bin below! 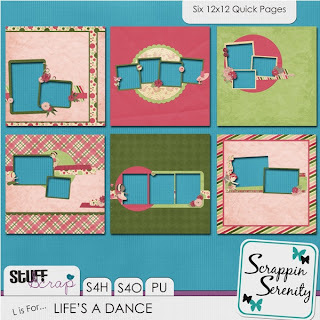 Whether you need to scrap a big dance recital or just your little girl dancing around the house, then Life’s A Dance by Scrappin Serenity is the perfect kit for you! It’s filled with all things dance and is totally all girlie! Pick up the Life’s A Dance quick page set you get your pictures scrapped in a snap! Do You have too many pictures to scrap and not enough time to scrap? 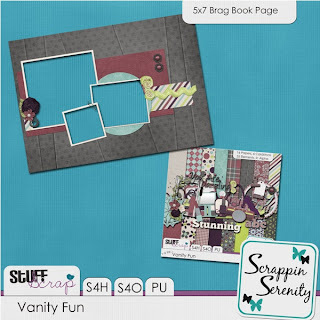 Pick up the Vanity Fun Quick Page Set. This entry was posted in Uncategorized on February 20, 2012 by christiedawn. So, it’s Tuesday!! 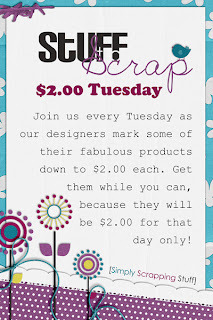 Which means it’s a great day to save some money with Stuff to Scraps $2 Tuesday! Need a kit to scrap those little men or big men in your life? 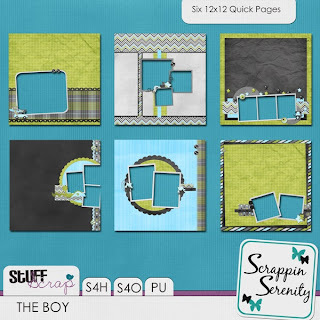 Then The Boy by Scrappin Serenity is the kit for you! It’s full of all things boy! Do You have too many pictures to scrap and not enough time? Then pick up The Boy Quick Page Set. Need a kit to scrap those little ladies or older ladies in your life? 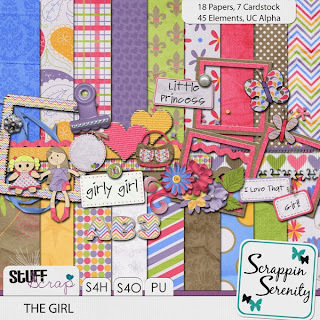 Then The Girl by Scrappin Serenity is the kit for you! It’s full of all things girly! 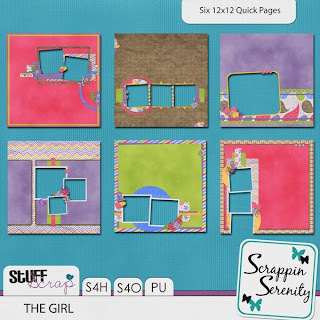 Get your scrapping done quickly with The Girl Quick Page Set. AND if you’re not interested in those….then check this out! 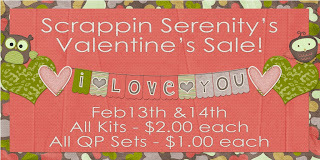 I’m having a Valentine’s Sale…and All my kits are just $2.00 each and all the quick page sets are $1.00 each! So go get yourself something sweet! This entry was posted in Uncategorized on February 13, 2012 by christiedawn. If you haven’t already signed up for it, Don’t forget the very first STS retreat is coming April 27th & 28th! It should be a great time, just wish it wasn’t so far away so I could come! Love the gorgeous parts of this month’s BAK! Use the code to get an even better price on your favorite parts. This month’s CU Grab Bag is AWESOME! As always it’s a great way to quickly add to your stash for a fantastic price. 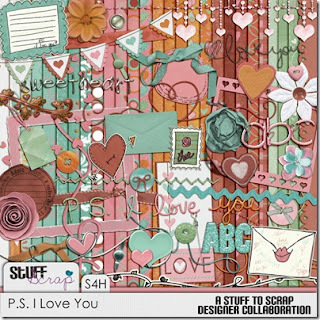 The STS Designer collab this month is PS I Love You and it is a huge collection! I can imagine all sorts of beautiful layouts with this Mega Kit. This set of QP’s is free with a $10 purchase from the STS store! Of course if you only want the QP’s they are available to purchase too. This entry was posted in Uncategorized on February 7, 2012 by christiedawn.